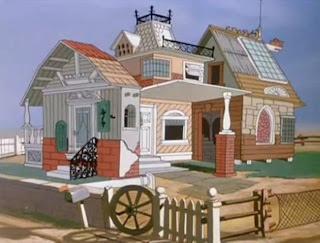 The Goof returns to the Disney shorts in Home Made Home, this time returning to the “How To” formula while building his own home. It’s another step in Goofy’s evolution into the every man. While most of us have not built our own home, anyone who owns a home can relate to the struggles of trying to repair or improve things around the house. I believe I’ve actually done some of the things Goofy is faced with here. I’m not sure I did as well as he did. 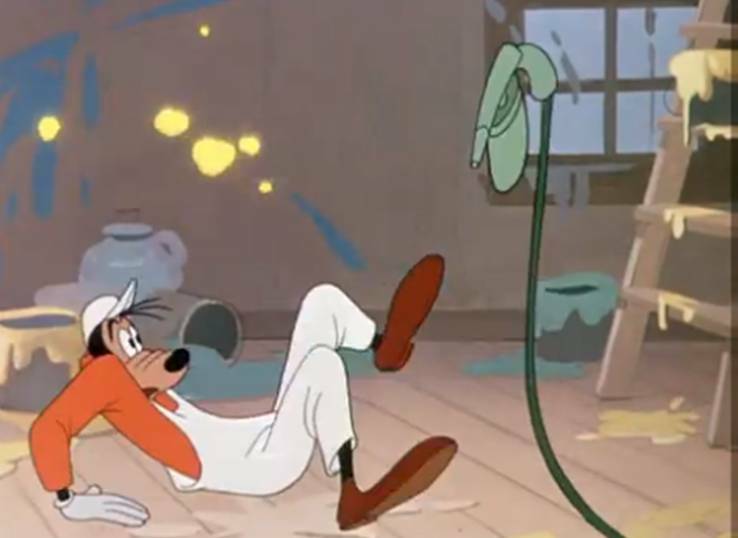 Goofy’s humor has always been based around his bumbling attempts to carry out tasks that the rest of us have tried or at least thought about trying. The home building is a take on that with an omniscient narrator as we’ve seen in countless other of Goofy’s shorts. The formula is tweaked a bit, because a large portion of the short is focused on fun gags with Goofy on screen, without the narrator. In those portions, it’s a fabulous sort of silent cartoon, because Goofy doesn’t speak for most of the short. This is where the animators get to use Goofy’s limber and pliable form to its fullest. Seeing his limbs flop around as he attempts to put in a window, nail up supports or perform other tasks related to building a home from scratch. You have to hand it to the story team on this one, as the premise alone is enough to put a smile on your face. Of all the Disney characters, who’s the one you’d most like to watch building something? 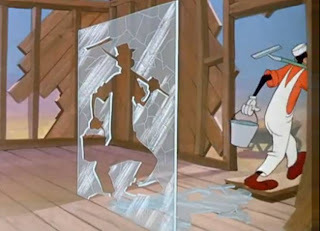 My favorite piece of the film is when Goofy is trying to install a window into the frame of the house. 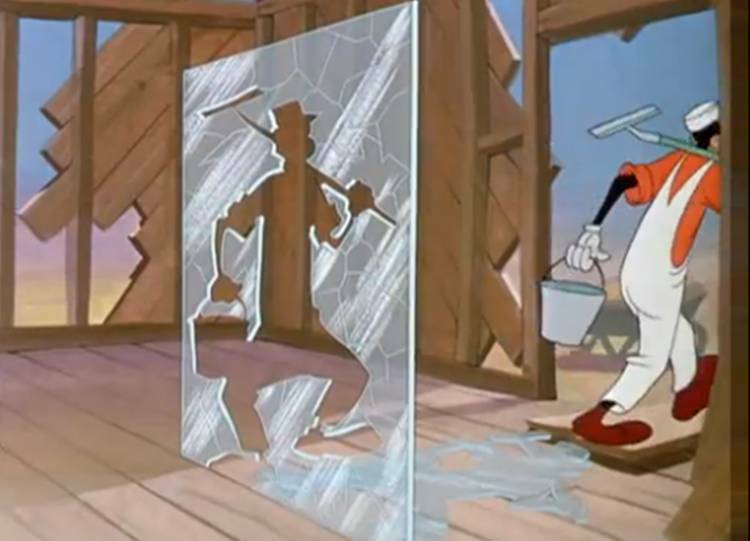 The unwieldy glass teeters and totters through Goofy’s hands, which is so true to life if you’ve ever tried to install a window. It’s a classic comedic piece with gags galore, including the classic of the window shifting and the Goof not realizing there is nothing there. It’s no spoiler to say that the glass ends up shattered. How it happens is the true fun of the short. 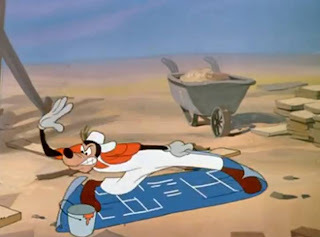 The big shift in the Disney shorts from the 1930s to the late 1940s and early 1950s is the move of the characters from the slapstick barnyard humor to suburban gags that have a little more to them. That is not a slam on those old cartoons, which I enjoy a great deal, it’s just that it’s different. You would not have seen Goofy trying to create a home 15 years earlier. Now, a more mature group of animators is creating different shorts, and watching that evolution is part of what I love about doing this blog.